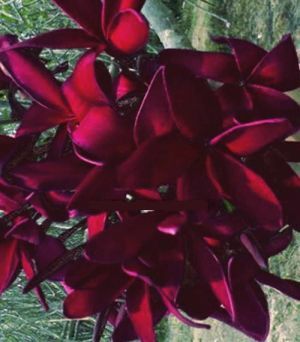 Back in Stock Seeds A-ZVines & ClimbersFruit & Useful PlantsVegetables & SpicesMangroves & PondPalms & Palm Ferns AcaciaAdeniumTree Ferns/FernsEucalyptusPlumeriaHibiscusPassionflowerMusaProtea Seed-RaritiesGerminated SeedsSeed-Sets Plants from... PLANT SHOP Books Accessories All productsSpecialsWhat's New? 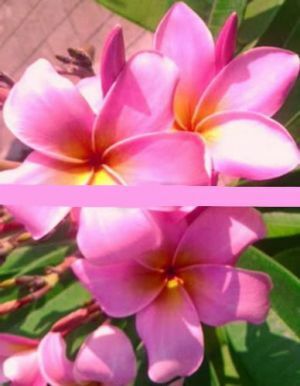 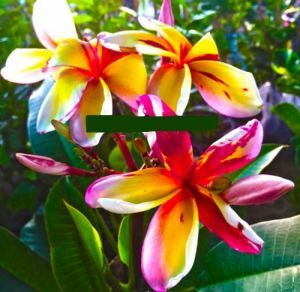 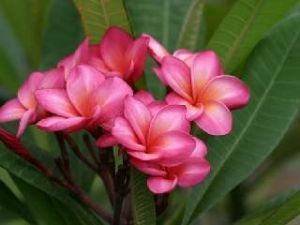 Plumeria with the German name frangipani, pagoda tree, or even temple tree is in the dry season a deciduous, succulent shrub or small tree up to 3 m (in their natural habitat up to 8 m) with alternate arranged up to 40 cm long, leathery, deep green lanceolate leaves. 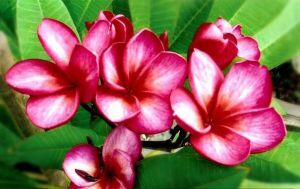 The flowers usually appear in clusters at the end of the branches and emit an intense, heady aroma. 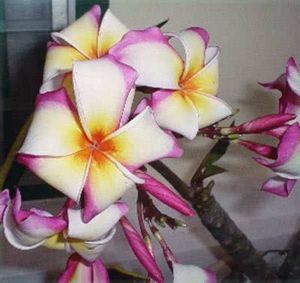 Seedling plants bloom at the earliest after 3-4 years and also the colour and the shape is not always the same as that of the mother plants. 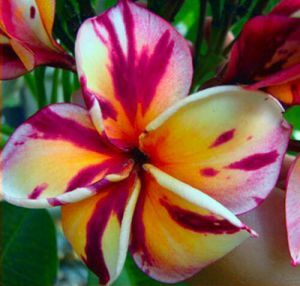 It is absolutely possible that the new flowers have a new colour spectrum what inspires perhaps to new varieties! 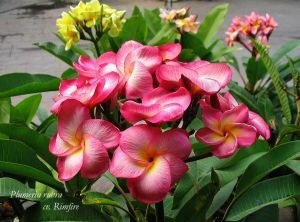 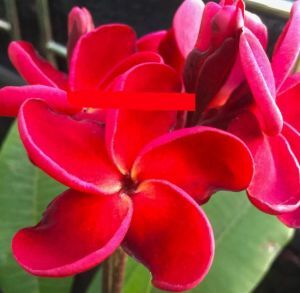 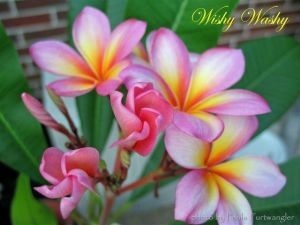 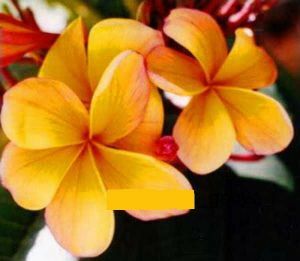 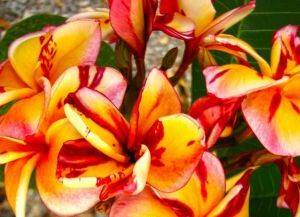 There are several methods for sowing of the Plumeria.